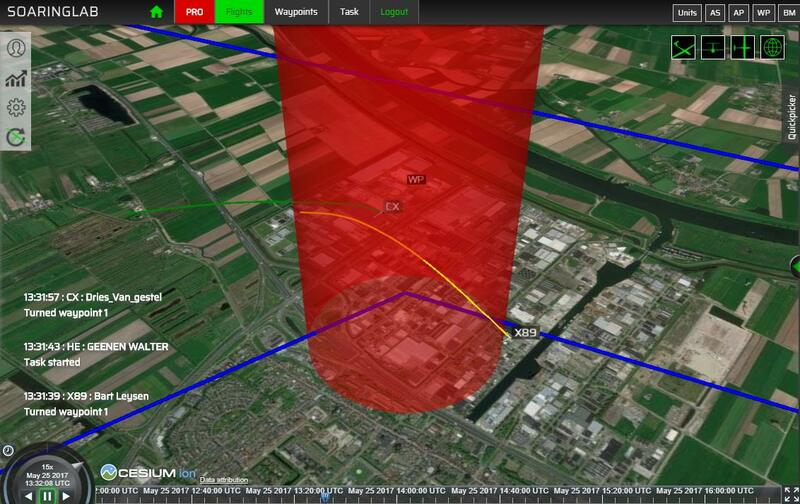 Very happy to announce the Beta release of Soaringlab Live Flight tracking. Read more about Soaringlab Live flighttracker. A few days, after a very inspiring dinner with some friends, finally managed to create a link to the Open Glider Network. Move turnpoints by dragging them over the map. Add turnpoints by dragging the '+' icons in the middle of tasklegs. Calculate en show FAI triangle distance. Show circles to mark outlandingfields within a specified range. For those looking for a way to kill time while waiting for the new season. A short instruction video to customize your digital planes. This way you can test your new markings or get some sponsors by using their logo. Jumpcontrols : quickly jump to events in your flight. Rollrate calculated in function of airspeed and circleradius. Horizontal scrollbar added to flightdata. Soaringlab collects and provides lots of flightstatistics and data, but it's not always easy to get this massive amount of data on your screen in a way it is still usefull. We will explain some of the flightparameters in this item. Real-time flightdata : data of flights on the time shown on the timeline. Phase data : information about the phase. Select "Show phase markers" from the settings menu to get indicators on the phase start and end. Task data : Relevant data of the progress of the task, selected in that flight. Color : color that indicates the flight. Height AGL : Height above ground level (above terrain). 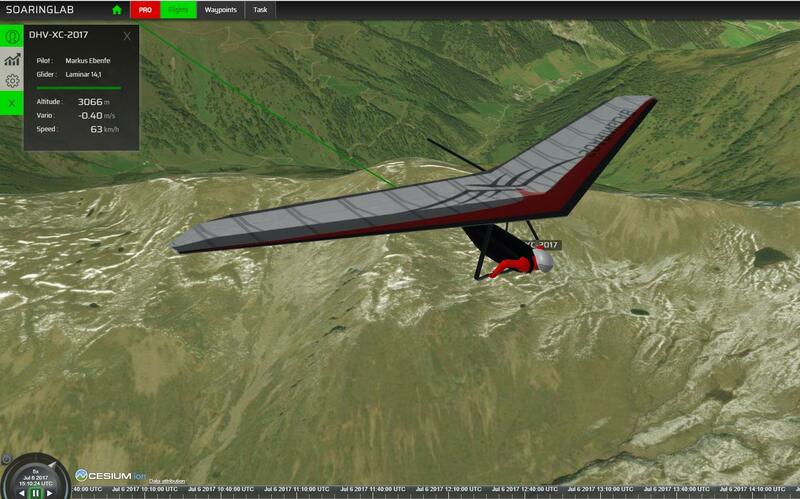 Soaringlab uses terrain elevation from Cesium at medium resolution to keep loadingtimes fast. Speed GND : Speed relative to ground. So wind from behind equals higher groundspeeds. Speed IAS : Indicated airspeed, airspeed indicated on the planes instruments. Soaringlab uses windparameters to calculate groundspeed to IAS. Vario : Varioreading at that time. Indicates how fast your are climbing or sinking. Duration : Duration of the phase. dHeight : Heightdifference between start and end of flightphase. Av.Vario : Average vario during that phase. Av.speed : Average speed calculated on the distance and time from that phase. Distance : Distance covered during the flightphase. Wind : Winddirection and speed calculated from drift during last thermal. Distance : Taskdistance covered at that time. Speed : Task speed at that time. Flightmode :shows the intention of the flightphase. 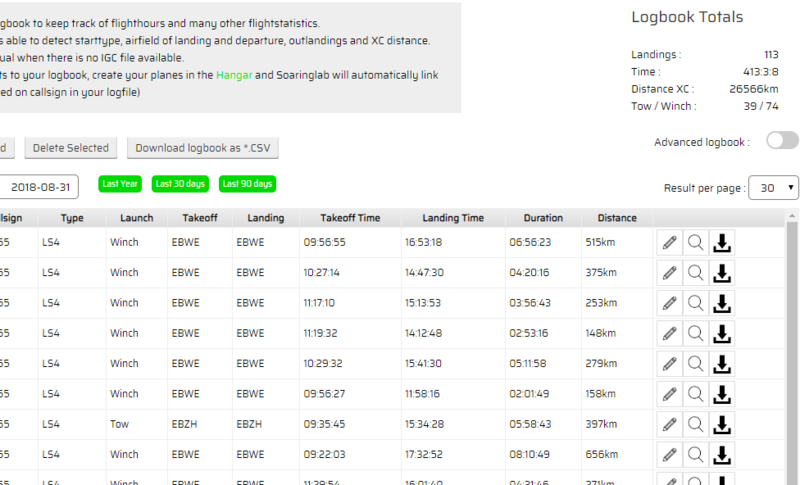 Your logbook will now hold a lot more data about your flights, and will show some interesting gliding-related statistics. Switch between standard and advanced logbook to learn more about your own flights. sort any column by clicking it's title. Some things to know : If you don't want to share your flights to other Soaringlab users, click "edit flight" and uncheck "publish flight". If you create a plane on the "Hangar" page, your uploaded flights will automatically be linked to the plane with the same callsign as the logfile. Export your logbook to *.csv to create your own statistics in Excel or other spreadsheet. Tasks can be created without using waypoints. All planemodels have been upgraded to new standards. The Soaringlab Flightselector will show a preview of daily flights on the map. We are very proud to present the personalized glider-look features. Navigate to "Hangar" on the userplatform. And select (or create) a glider. When you navigate to the "Planedetails" page, you can upload an custom image file that will be used to wrap your glider. Download the glider's Blueprint to use as underlay for creating layouts. Advanced Taskmanager (PRO) : As Soaringlab PRO user you can save taskfiles to your profile and reuse them on any other device, or download taskfiles as *.tsk. Start a new session from the "Flights" menu so you don't have to refresh your browserwindow to load new flights. "Flightsettings" can be selected on the user's settings page. Preselect default settings as you desire. Dynamic datatables : Flightphases, Task and flightstatistics now use dynamic, sortable tables. All planemodels update to support new cesium version. We made a small demonstration video to show Soaringlab's main features. 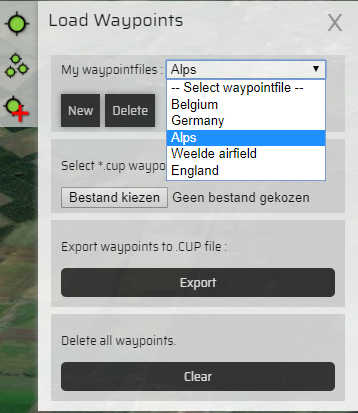 Advanced Waypointmanager (PRO) : As Soaringlab PRO user you can save waypointfiles to your profile and reuse them on any other device, or download the waypointfiles from the userplatform. Improved taskcreator : After creating a new task, select one of the taskpoints to move to another waypoint. Updated userlogbook and flightdetails : Get your flightstatistics from the logbook, comment your flights and many other small changes. Personalize your glider : From the "Hangar" in the userplatform select a glider and choose your marking colors or planeskin. Smoother glider animation : Smaller changes in direction will be ignored so gliders are less wobbling. Remake of the popular DG300. Modelling new gliders requires some time. Our latest glidermodels have improved cockpitviews and dynamic textures. Dynamic textures allow users to style and create their personal gliderlayouts. Racing gliders is one of the coolest things our sport has to offer. But, keeping track of the progress of the race is not always easy. That's why we introduce the eventmessages. This feature will display a message on the bottom of the screen when Soaringlab detects an event in the loaded flights. Maybe a nice feature for the future will be the possibilty to let users comment their own special flightmoments. We got some requests to add features for hangglider and parapente flights, so we did some first tests to add the hangglider model to our viewer. What 's next ... ? The Soaringlab viewer is already a few months up and running and most important bugs should be fixed by now. 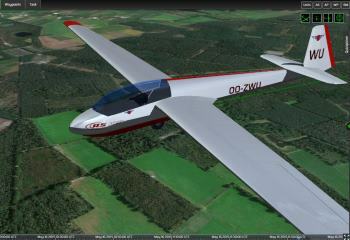 Flightdata looks fairly reliable and 3D graphics looking good. But still, there are so many items on our TODO-list and there is a huge margin for improvements. Next step is to get the userplatform up and running, and we would like to present some of the features. Glider manager : Create your own glidercollection. 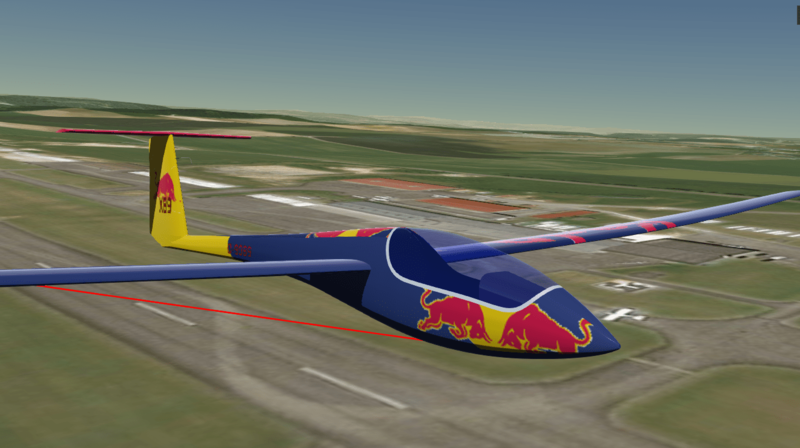 When users link a glider to a flight in their logbook, the viewer will show correct competition number and callsign. It's even possible to customize your gliders and show off your design to the world. Statistics : As said before : There is no such thing as "to much information" when we are analysing our flights. 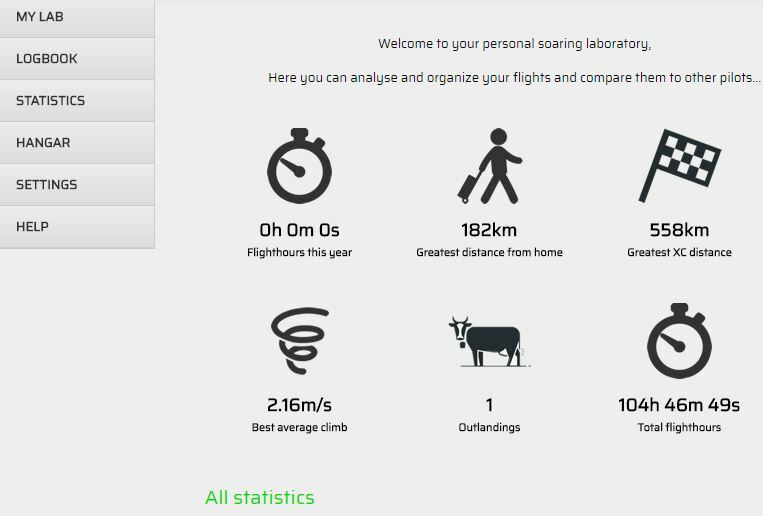 So we would like to create very detailed personal flightstatistics but also global data of all flights ever uploaded to Soaringlab. We hope to implement many others as : sharing of tasks, waypoints, connections to other soaringplatforms ... to many to say. Time and money are key factors to improve and maintain Soaringlab. There are many different flightanalysing tools which are not free. But the idea from the beginning was to keep it free and accessible for everyone to make gliding more visible to a large public. So, we would like to present the Soaringlab PRO formula : The Soaringlab viewer stays free for everyone and there is no limit on loading and replay flights but some of the advanced statistics will move to the Soaringlab PRO platform. Users can still register for free and save flights to their logbooks, but, as PRO user, you can have many more features. Pricing of the PRO formula will be between price of a winchstart and price of a towstart on a yearly base (depending on general interest). As PRO user you can enjoy all features Soaringlab has to offer. We showed some personalized gliders in the past, but using new glTF 2.0 techniques we can make our 3D models much more dynamic. Shiny surfaces : So gliders reflect sunlight and look more sparkling. Transparant canopies : So we can apply a "Cockpit camera" and review flights from pilot's perspective. Textured designs : So users will have their callsign and competition id's dynamically on their gliders, Maybe we can create a system to paint your own gliders and show your designs to the world. Or get some sponsorslogo's on your plane. Logbook : to keep track of flighthours and to save your flights online. Statistics : personal and global statistics of all flights uploaded to Soaringlab. Planemanager : Collection of your personal gliders. When reviewing flights, there is no such thing as "to much information", so we will keep collecting more date from our flights and try to visualize this data on clear datasheets or on the map. One of the latest features is the "Secondary labels" option. These labels will display relevant information on the gliders. We where running some tests and asked ourselves: What is the maximum number of flights we can load without crashing the system. So we downloaded all files of the Condor Worldcup 2017 Finals (63 to be correct). Loaded all these files at once and hit the play button. We like to show some of the latest feature in Soaringlab. Locate and display waypoints in 3D. Use the quickpicker to select flights you want to keep an eye on. Quick demo of most important statistics. How to use the thermalmarker. Display the declared task on the map. 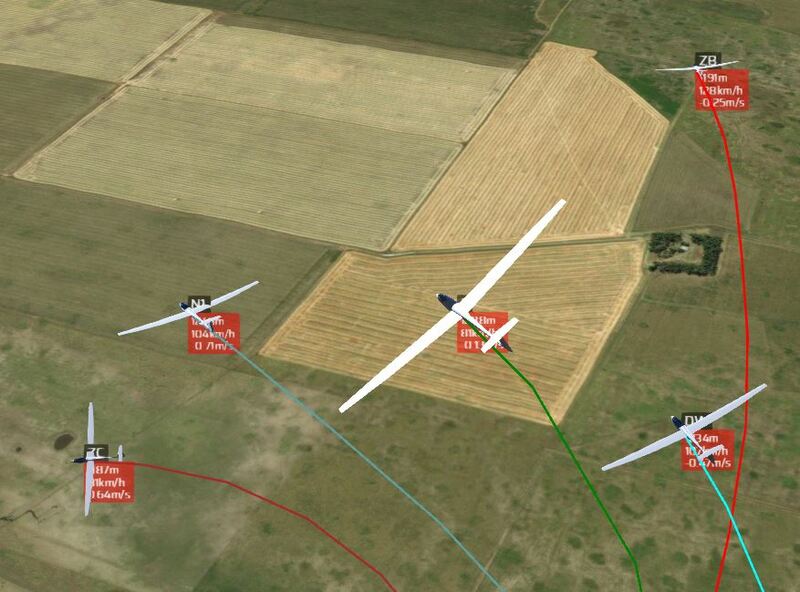 Replay a gliderrace with multiple flights in 2D, 3D and the hybrid display. Small demo of 3D flight replay. Still fighting some small bugs, but results are very promising. Enjoy this small demo of the Sisteron Grand Prix. You can try this yourself in our viewer. What if you can not decide if you want a clean overview on the map or to go for the cool 3D graphics : Maybe the hybride display is a cool option ?